Officially Licensed Sons Of Anarchy Queen Size Faux Mink Blanket | BUDK.com - Knives & Swords At The Lowest Prices! Forget your old worn out blanket or bedspread and pick up this officially licensed Sons of Anarchy faux mink blanket! This oversized blanket features super-soft faux mink construction that will keep you snug and warm while paying tribute to your favorite television show. 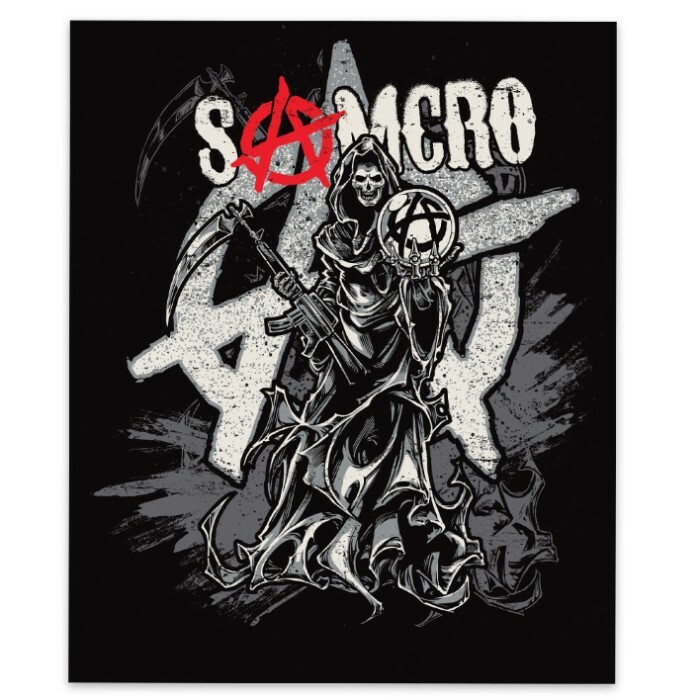 You are sure to love the exclusive Sons of Anarchy artwork. It's perfect for your bed or to drape over your couch so you can snuggle up anytime. At 79" x 96" overall, it fits up to an oversized queen bed.